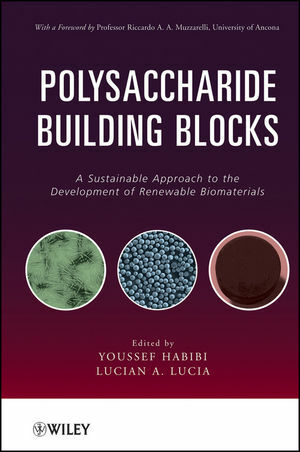 This book is an archival reference for the evolving field of biomaterials and their applications in society, focusing on their composition, properties, characterization, chemistry and applications in bioenergy, chemicals, and novel materials and biomaterials. It has broad appeal due to the recent heightened awareness around bioenergy and biomass as potential replacements for petroleum feedstocks. The book is divided into three parts: cellulose-based biomaterials, chitin and chitosan biomaterials, and hemicelluloses and other polysaccharides. Each chapter addresses a separate biomaterial, discussing its chemical, physical, and biological attributes, and hones in on each compound's intrinsic tunability for numerous chemical transformations. In the current quest for a "green" economy and resources, this book will help inspire scientists towards novel sources for chemicals, materials, and energy in the years to come. YOUSSEF HABIBI, PhD, is Assistant Professor in the Department of Forest Bio-materials at North Carolina State University. His research investigates biocomposites and biomaterials engineering; cellulose nanocrystals self-assembly; natural fibers; reinforced polymer composites and nanocomposites; the isolation, analysis, treatment, and chemical modification and utilization of biomass components; and surface modification of natural fibers and their nanocrystals. LUCIAN A. LUCIA, PhD, is Associate Professor in the Department of Forest Biomaterials at North Carolina State University. His recent work focuses on the chemistry of wood pulping processes, with an emphasis on hydrosulfide chemistry. Dr. Lucia cofounded and coedits BioResources, dedicated to advanced applications of lignocellulosics.